NEW YORK, NY / ACCESSWIRE / December 10, 2016 / A recent train derailment in India has killed over 140 people and injured almost 170 others. The train, which was carrying 1,700 passengers, was traveling a regular route between Indore, a city in the central part of the country, and Patna, a city in the northeast. The derailment occurred near Kanpur, about halfway through the trip. As reported by CNN, 14 of the train's 23 cars derailed. The large scale of the accident required the help of India's disaster response force, as well as members of the military. 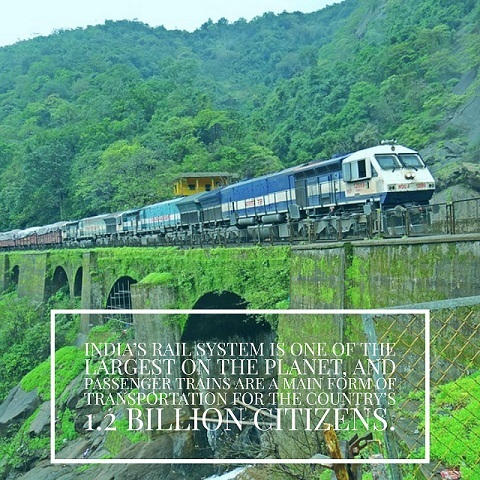 India's rail system is one of the largest on the planet, and passenger trains are a main form of transportation for the country's 1.2 billion citizens. Over 23 million people ride trains in India each day. The country is roughly the size of Alaska, Texas, and California combined, and rail journeys can take a week or longer to make it from one side of the country to the other. Although the government has announced it will invest $124 billion into upgrades and modernization, accidents are common. In 2014, there were over 27,000 railway deaths. In 2016 alone, there have been 80 railway crashes - an increase from 2015, which had 69 accidents. Many of these serious accidents are exacerbated by the rail system's outdated carriages, which crumple upon impact. Currently, 92 percent of the carriages used on India's tracks are the kind that crumple under pressure. Officials say they hope to replace the carriages with modern ones reinforced with steel, however, they will continue producing the old type of carriage through 2019. The older carriages also have a 25-year lifespan and could remain in operation for years.